Our manufacturing & water well industry experience gives us a competitive edge in this space. Throughout the years, we have honed our knowledge and skills in designing and producing water well service equipment. This is based on our having been in our clients shoes! We have been where they are and know what it is like to have insufficient equipment to do the job! The superior quality of our work speaks a lot about our expertise in this field. We strive to build the next generation of pump hoists that fits the needs of contractors in the 21st century. Our team is always looking for ways to create innovative products that are the game-changers in the water well industry. For example, we utilize ECAD for design, our rigs have electric over hydraulic technology, our remote is wireless and is multi-functional...plus so much more! Rely on us for your pump hoist needs as we feature the latest technology. We offer a limited one year or 1,000 PTO hour warranty. 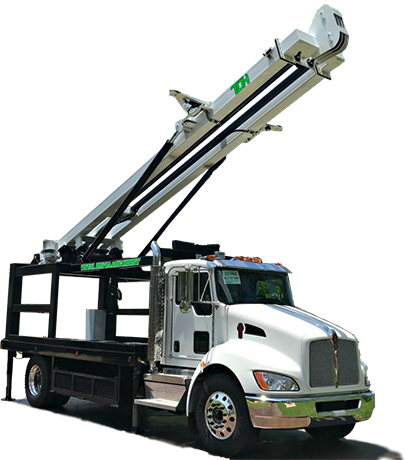 Our pump hoists offer more standard equipment than our competitors. All of the products we offer are engineered to premium standards. Additionally, we have great financing options! 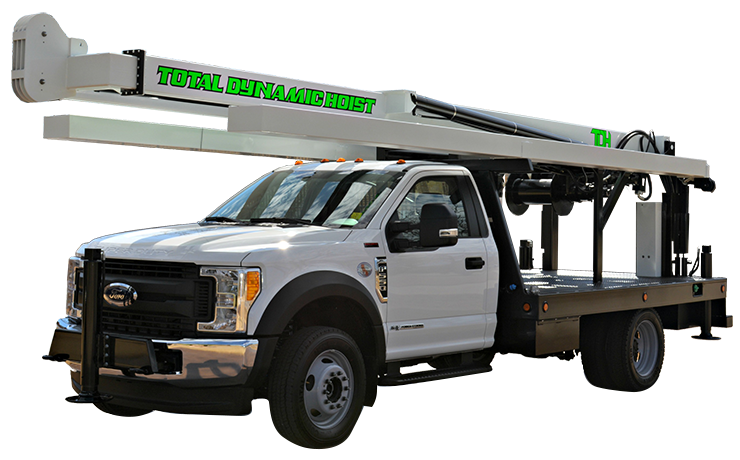 We have a variety of excellent pump hoist equipment in fleet for you to choose from. 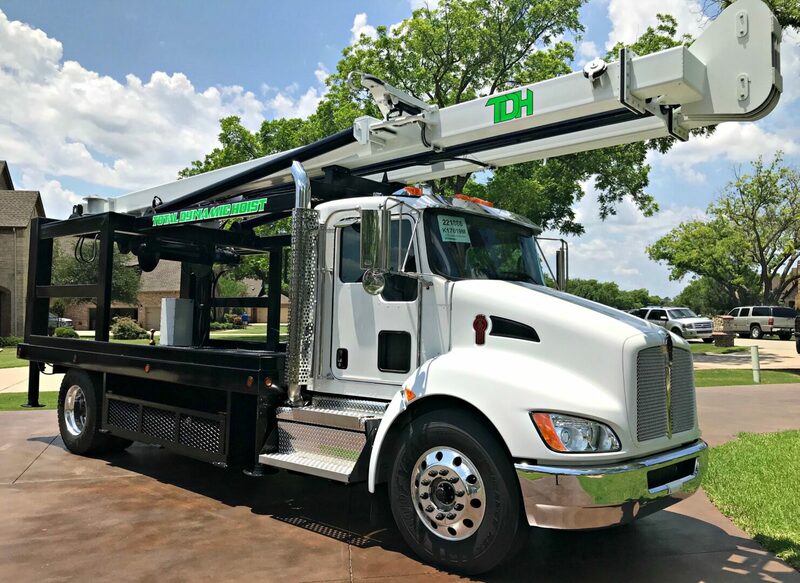 Our goal is to have two of each model in stock, at any given time, so that our customers are able to drive away with The Next Generation Pump Hoist that meets their needs. We serve clients around the world! I first found TDH in the National Drillers Magazine in 2017. What I was first interested in was the electric over hydraulic controls. Later that year, I bought my first rig from their company. Once my crew and I put it to work, we realized how smooth and efficient everything operated. 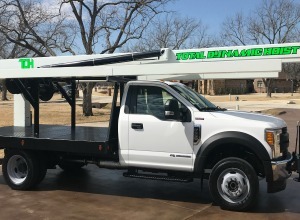 Since 2017, I have added two additional trucks to my fleet. Needless to say, I am hooked on TDH pump hoists. I wanted to drop you a note telling you how much we enjoy our new 7 x 3 and 9 x 3 pump rigs. The guys really like all the user-friendly features these units have - especially the footage counter and speed control on the sand line. While we have had a couple of issues with the hydraulic pumps, you folks have been EXTREMELY responsive to getting the repairs made onsite and have kept us going. We fully recognize that you do NOT make the pumps, but you have stood behind them 100% and for that we are thankful. In summary, you folks do business the way we do. Provide honest products and superior service to your valued clients. 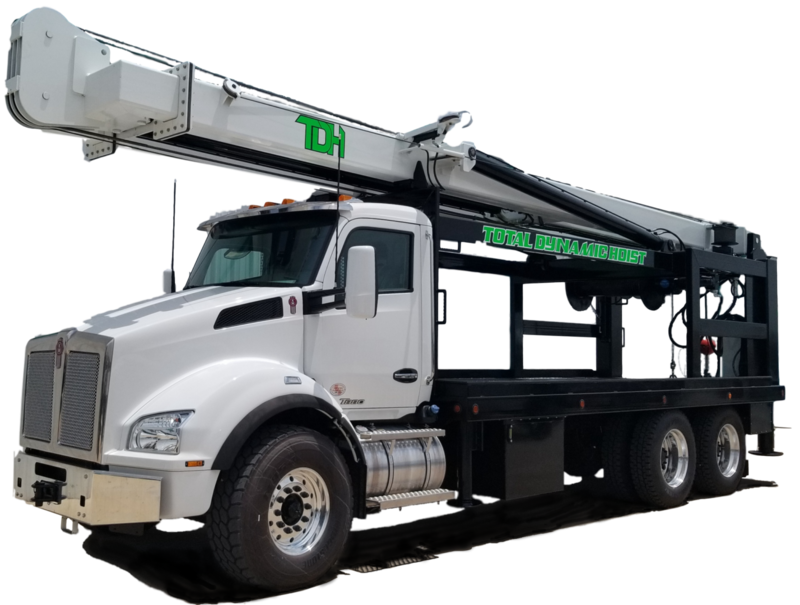 We thoroughly enjoy the relationship we have with you and look forward to continuing to build on this relationship with future purchases from you as we continue to both expand and upgrade our fleet of pump hoists. 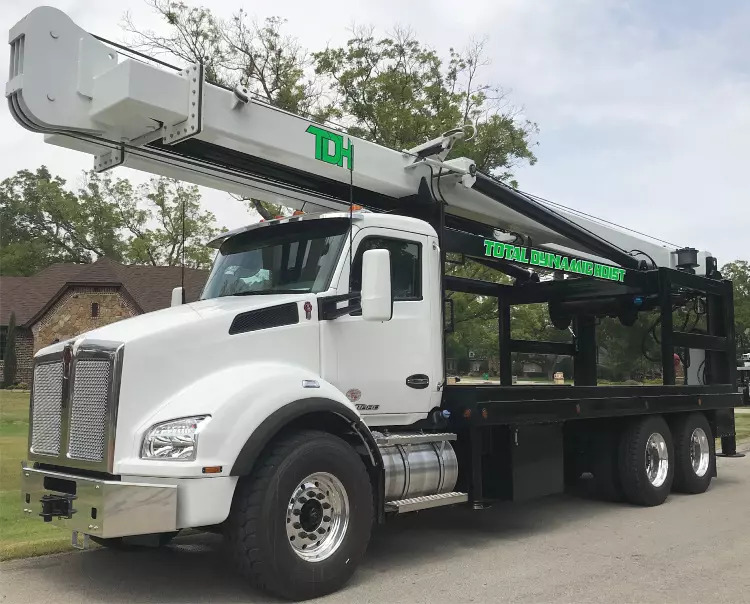 Total Dynamic Hoist: the total unit in which weight, versatility, comfort, pulling power, and ease are factored into one rig! 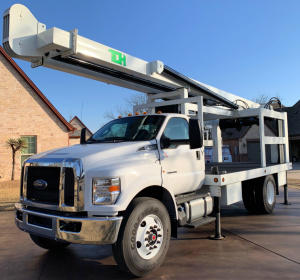 Where do we begin about our perfect pump hoist? TOTAL DYNAMIC HOIST rigs are not even in the same ball park as a Hunke & Pulstar rig. Which I have ran both new and old models of these rigs and they are completely different than the TDH trucks. From the wire winder, remote, and controls, just to name a few of their amazing options, makes a pump installers life a lot easier! 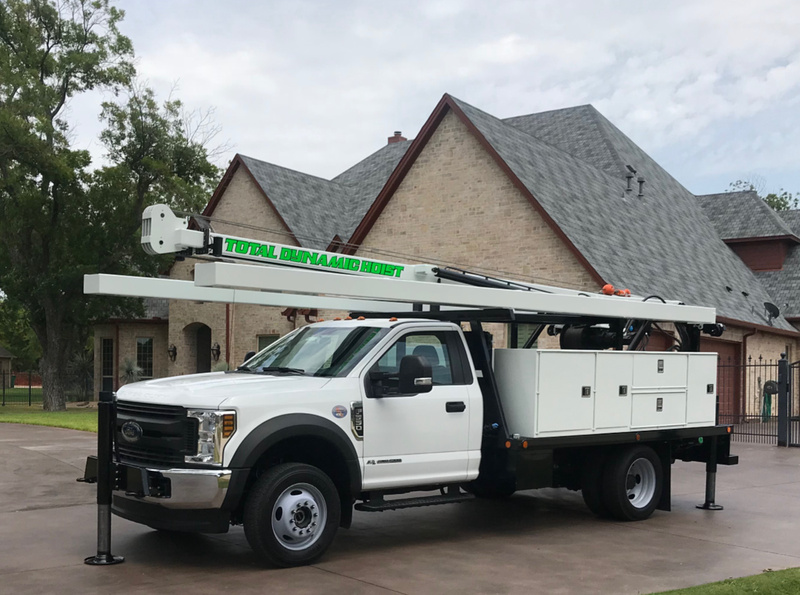 Not to mention the pulling capability mounted on F-550 versus a 10 wheeler like the competitors model sizes. Not to mention the personal service received at TDH. Can you personally call the owner of competitors and speak to them one on one about their rigs? I know you can at TDH. Personal service goes a long way in this day in age. If you are on the fence about buying a competitor rig versus a TDH, I urge you to just go look and play with one! It will change your business! Thank you TDH we are forever customers and friends! 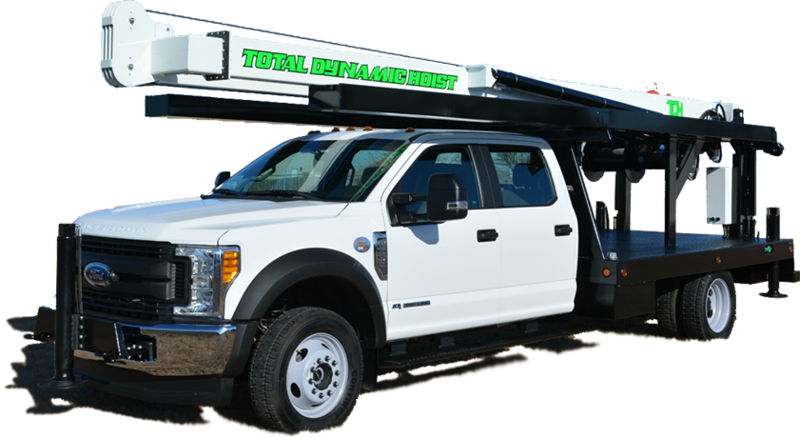 TDH Manufacturing in Haslet, TX is a family-owned business and an expert in designing and manufacturing pump hoists. We aim to help businesses increase productivity, and thus revenue, by providing them equipment with cutting-edge technology. We have been in this industry for more than two decades. We have been in our customer's shoes, out in the field everyday using outdated equipment. 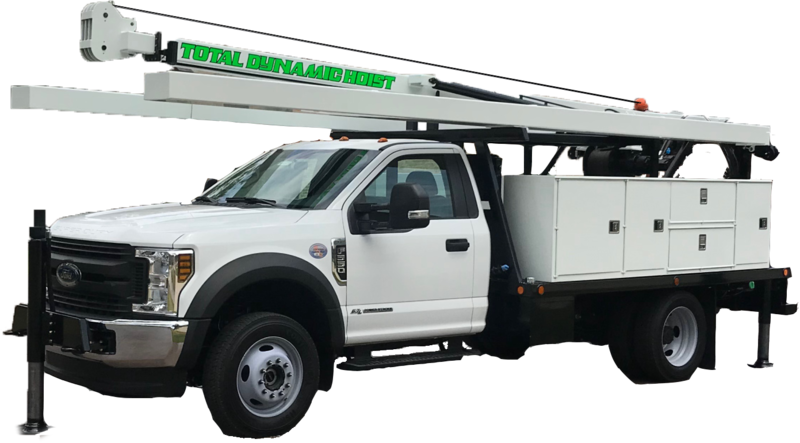 We decided to use our knowledge and skills from the industry to build pump hoists that serve contractors in a far better capacity. We strive to be the trusted brand when it comes to premier pump hoist equipment.